Another Berks/Oxon plan. Just a variation on my previous cross-border theme. 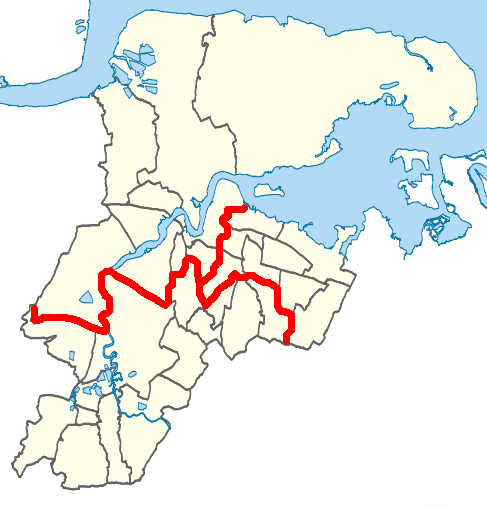 The City of Portsmouth has 2 constituencies: North and South. Under pressure from politicians, the Commission has decided that, rather than respect our cities and communities, it will, for its own convenience, and the convenience of the politicians, split our cities apart. This is not just happening in Portsmouth – several other cities are affected, including Birmingham, Nottingham and Southampton. 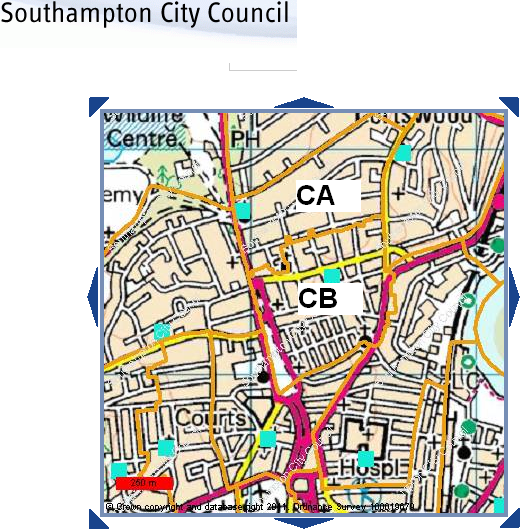 As people told the public enquiry in Portsmouth in October, all that needs to be done to let the people of Portsmouth have their constituencies and MPs back is to split one ward: Baffins. It’s not rocket science. 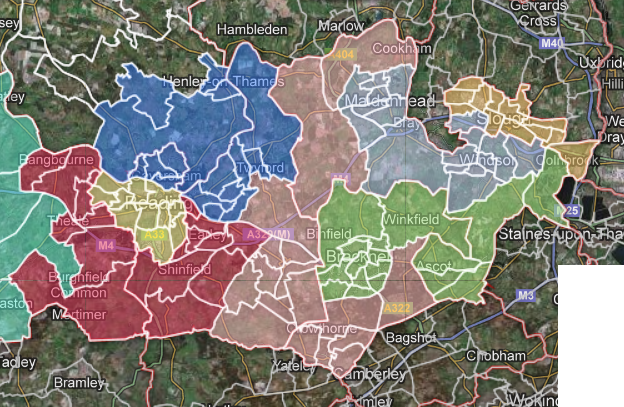 Thanks to the kind intervention of a commenter, I’ve amended my proposals for the Medway area of Kent, and now you’ll be hard-pressed to see the difference between them and the current constituencies. 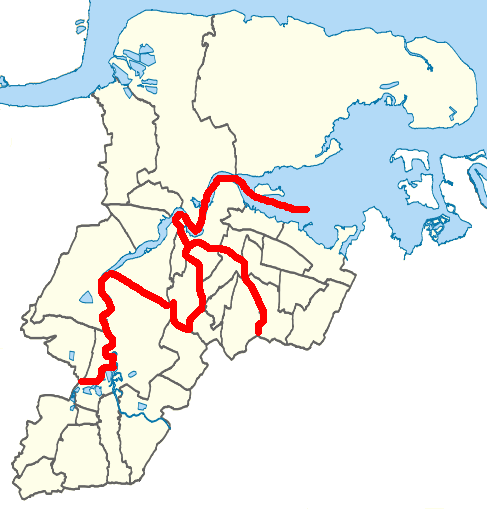 Hopefully you’ve spotted the differences are (1) the transfer of the River ward to Gillingham, (2) the addition of Kings Hill, Leybourne, West Malling and East Malling to the Chatham constituency, and (3) the transfer of Holborough and Snodland to the Rochester constituency. 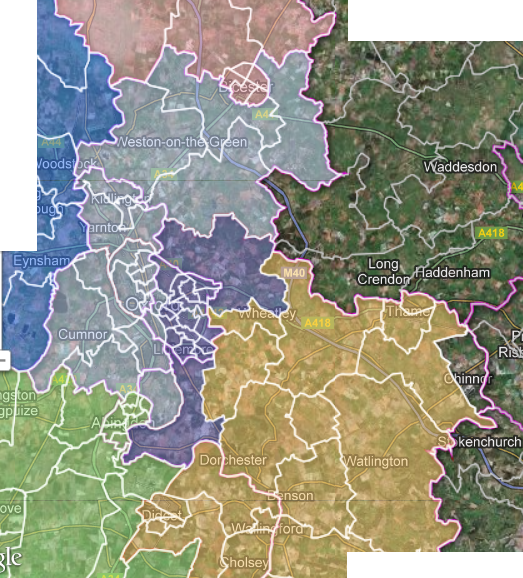 So under my proposals, Cuxton, Halling, Holborough and Snodland are now together in the Rochester seat. Contrast that with the Boundary Commission’s proposals. 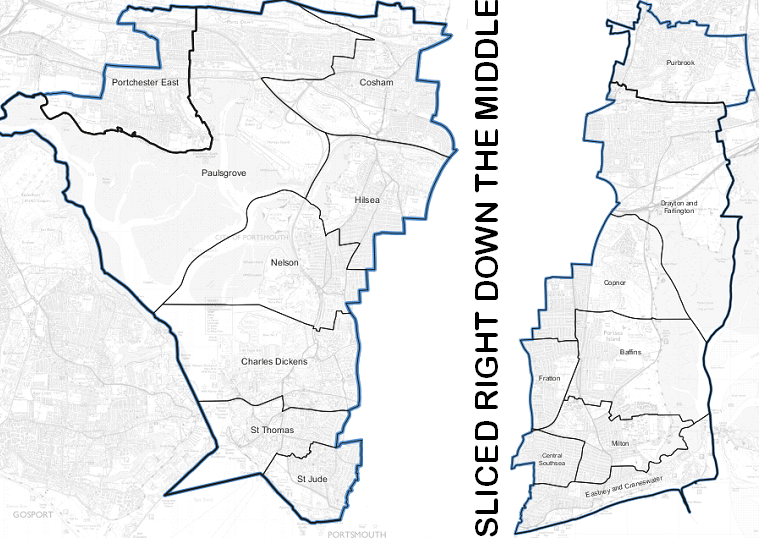 They’re suggesting, mostly for no good reason, that 4 wards from the centre of the urban area are swapped around between the Medway seats, moving 35,000 voters unnecessarily. If you want massive change in Medway, or if you don’t, email the Commission. Note: Sorry the original post had mistakes in it – I hope I’ve corrected them all! Hampshire has a TE of 17.13 seats and an allocation of 17 @ 77,232. 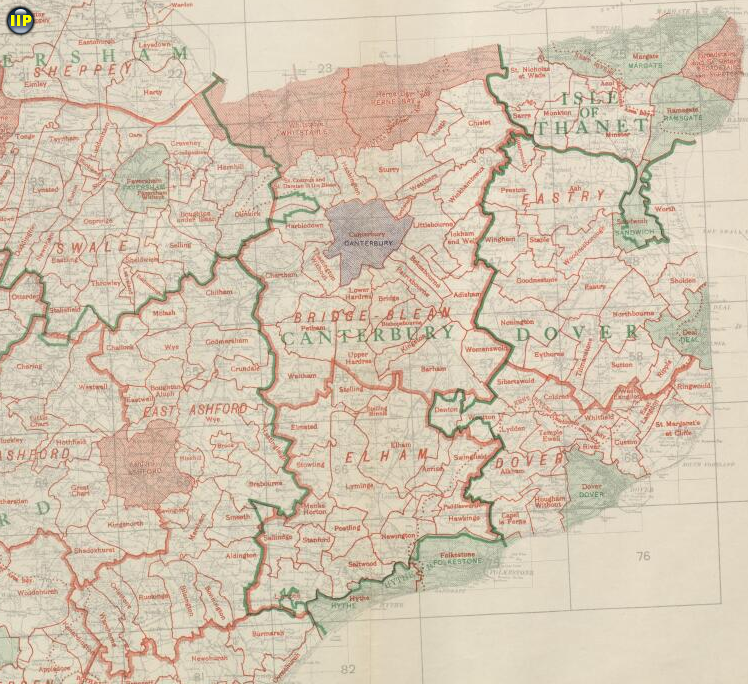 The main complaints I’ve heard about the Commission’s proposals for Hampshire come from Fareham Borough, which the Commission proposes to split in four. It’s inevitable that part of Fareham will be in the Gosport seat, and it’s difficult to avoid Portchester being added to the Portsmouth seat, but we can reunite the rest of the Borough. 1. 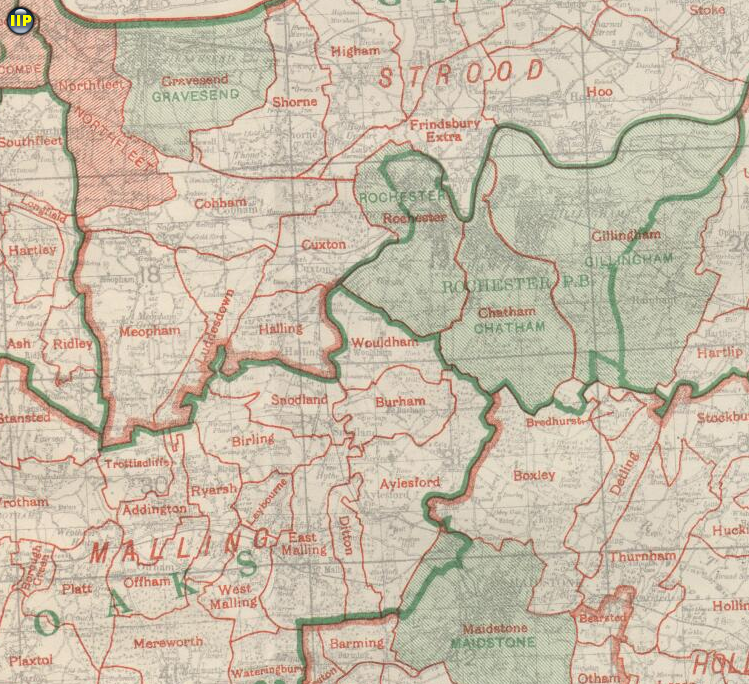 The Test Valley seat, encompassing Chandlers Ford, the Bassett ward from Southampton, Romsey and the entire length of the eponymous valley. 2. 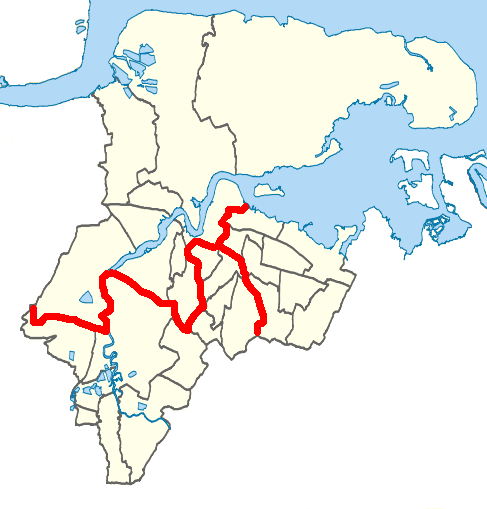 The arrangements in Rushmoor and Hart. It’s hard to avoid splitting a community. 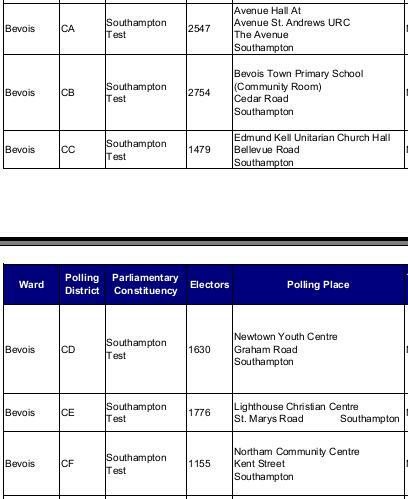 The best I can come up with at the moment is to split Fleet and Church Crookham. I don’t suppose there is anybody alive who can remember Crookham being a separate parish – it became part of Fleet in 1932. 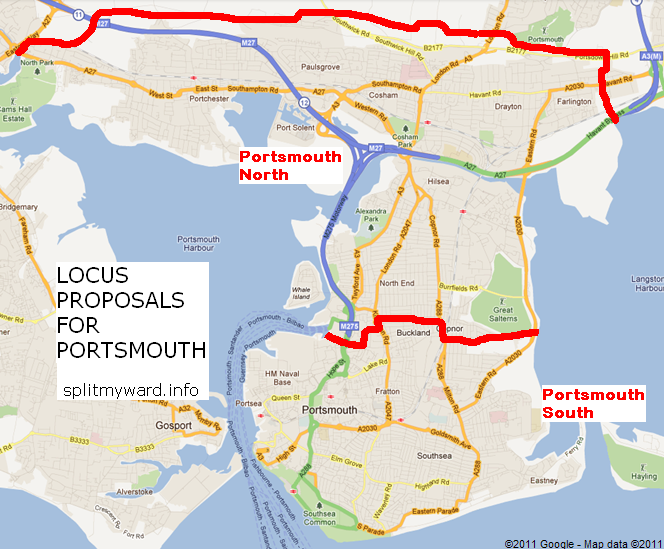 I’ve given Portsmouth back its North and South seats. 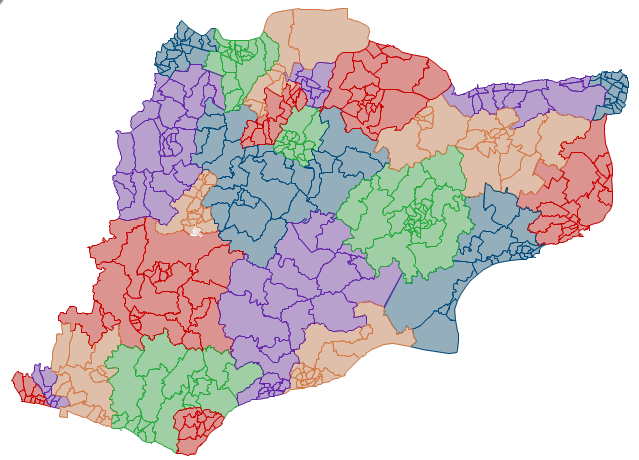 Baffins polling districts (pdf) HA and HB (4,100 voters) are in the North seat. My Southampton seats are also more similar to the current ones. 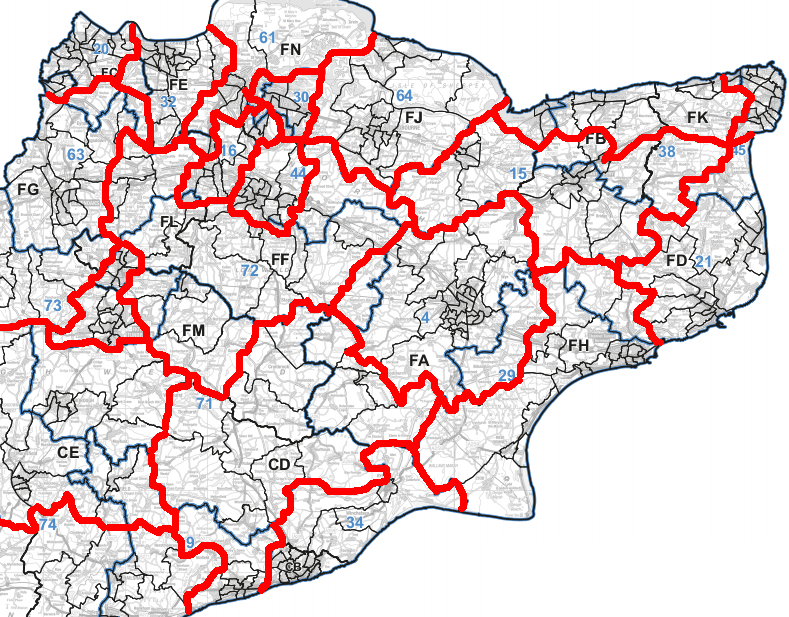 Bevois polling districts CA and CB (5,301 voters) are in the Test seat. Click to send the Commission your comments. This is a good one. 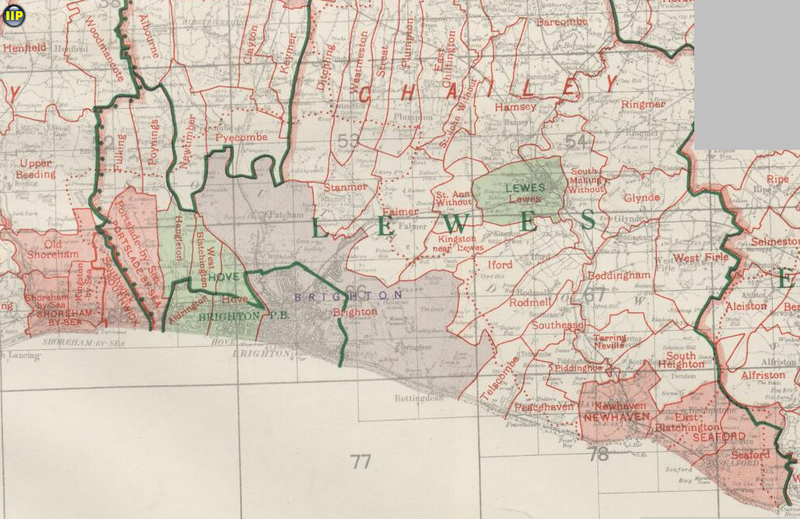 Worthing has an electorate of 79,045, so can form a constituency by itself, so I wondered if there was a way to redistrict the county without splitting the town down the middle. 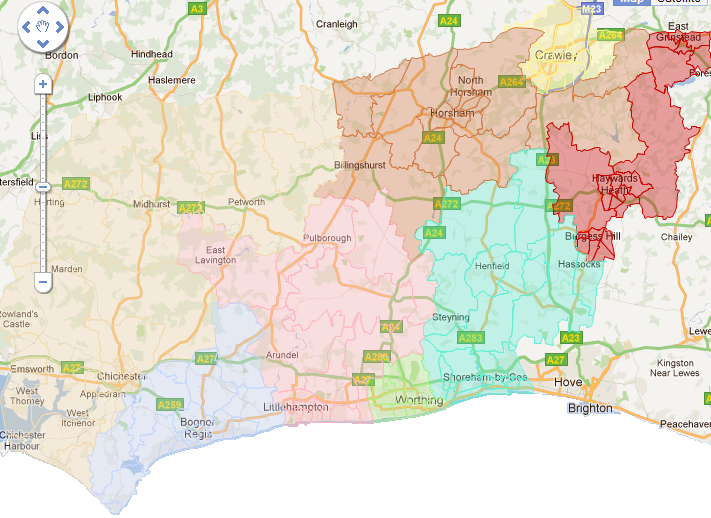 It turns out that if the Bognor seat goes down as far as Selsey Bill you can make four neat seats for Bognor, Littlehampton/Arundel, Worthing and Lancing/Shoreham. Simples.